What We Did in Storytime: Spring! Thanks again to JBrary for this rhyme! This new book is awesome for this developmentally diverse age group! The story is told in simple rhyme with charming, big illustrations. 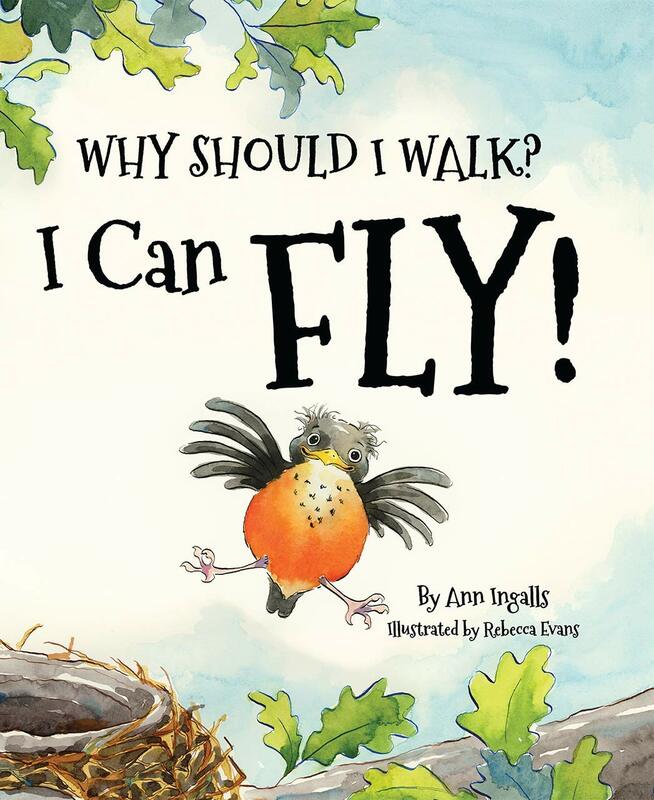 It introduces some simple facts about robins, how they learn to fly, and even one of their natural predators. The story is kept short and sweet, but gives little readers a lot of good info. There are also facts in the back of the book with real pictures for the more curious readers that could be explored one-on-one. We changed it up today and danced a bunch with our shaker eggs! 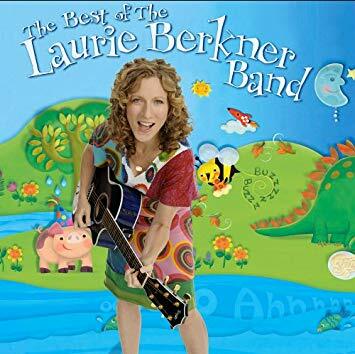 If you haven’t checked out this album, you should! 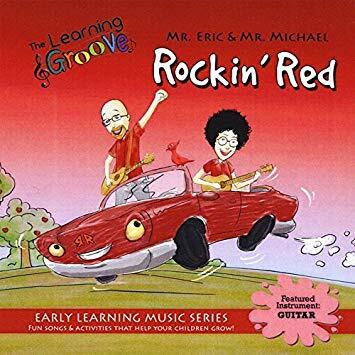 It is full of great songs to get kids of all ages moving. Hip Hop Body Rock has the kids shaking their shaker eggs next to the body part called out in the song. We pretended our shaker eggs were bumblebees for this fun tune. The verses are slow and soft while the chorus amps up for dancing fun. During the verses we were sleepy quiet bumblebees but when the chorus hit we got our shakers buzzing. As you can see, this book was not on my original set list. This was a just in case book as the other two books trended a bit longer than my littles were going to sit for today. 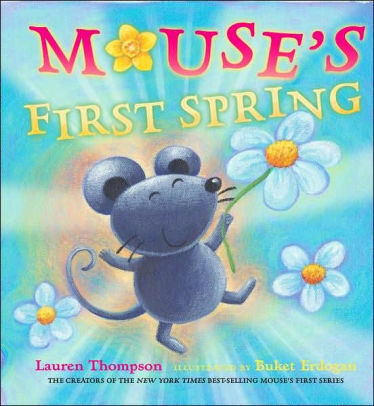 This is a fun book with plenty of chances for our littles to name the animals Mouse meets on his first spring walk. It also let them be a part of the story since I needed helpers to be the wind who sends each new animal friend on it’s way. 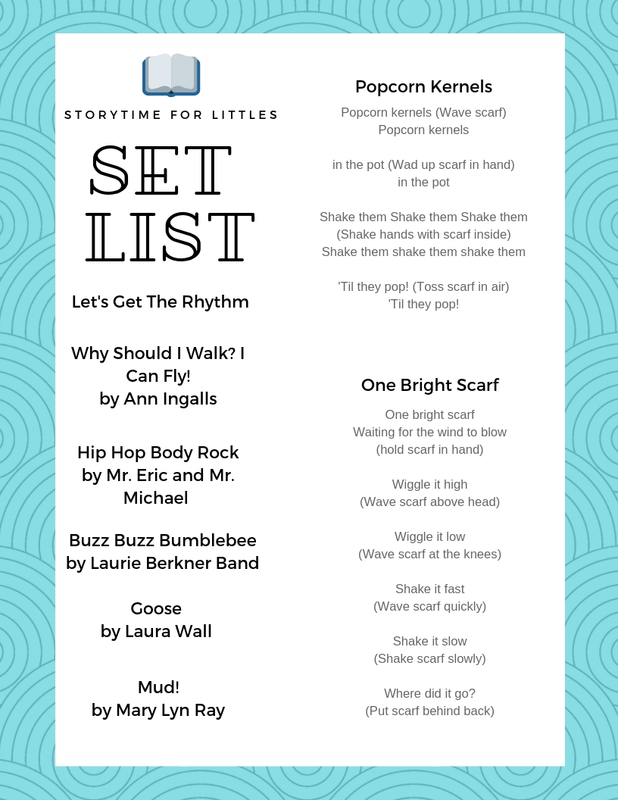 Even though my setlist has more on it, I stopped storytime after this book today because everyone in the room was ready for some play in our spring centers. 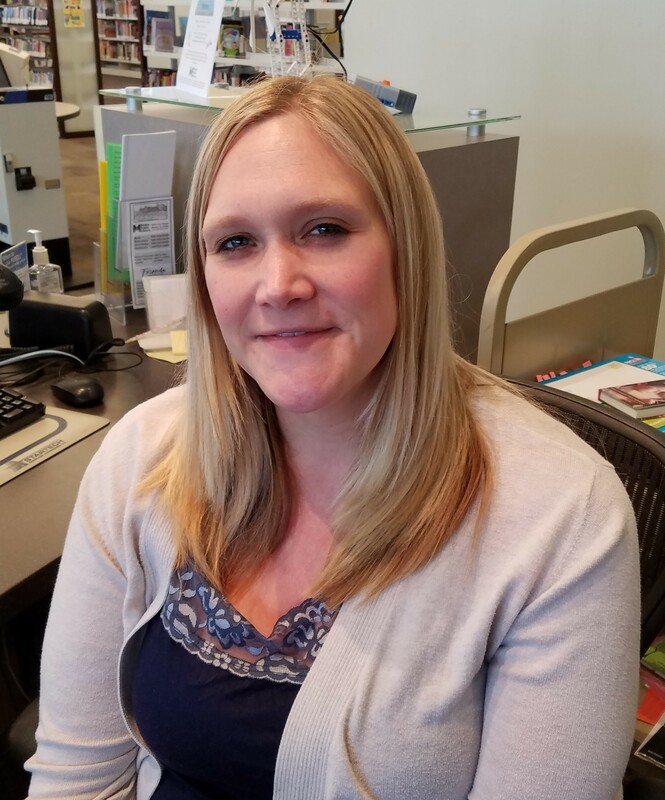 Check back next week to see what Miss Jessica does in storytime! What We Did in Storytime: Underwear! 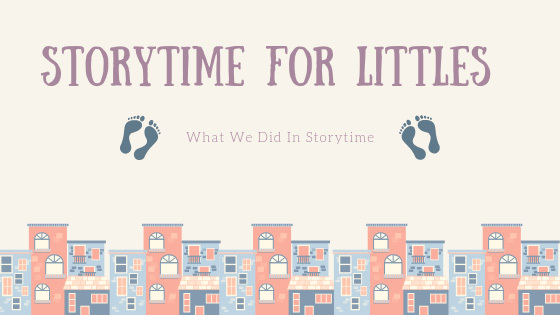 We changed up storytime a bit today! As I welcomed families into storytime, I passed out shaker eggs. We did our opening rhyme using shaker eggs to tap the rhythm instead of our hands and it went really well! This is a fun, silly read. 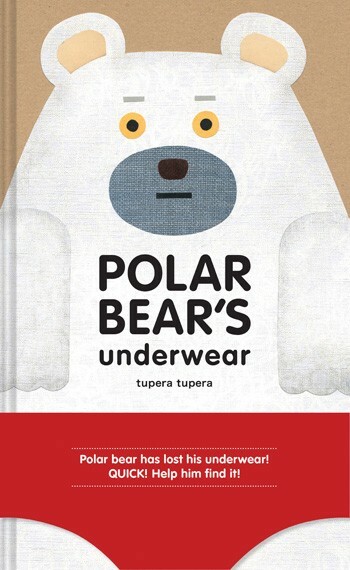 Older Littles can enjoy making predictions about whose underwear Mouse and Polar Bear find along the way. I found this cute flannel board over at The Librarian is on the Loose… along with the other flannel board I had as back up for this week. Five Pair of Underpants was awesome for practicing counting and building rhythm. I also had some helpful hands ready to grab the undies off the board for me! Great book with awesome pictures. Parents and older littles were chuckling along as we read about the Do’s and Don’ts of underwear. Parr’s simple and colorful illustrations pulled in the the younger littles in the room. If I were to do this book again with this age group, I’d probably paperclip some pages together. As you may have noticed, we have done this for a few storytimes now. I’ll probably do it for at least one more. The older littles are finally doing the 8 counts between actions with me and their confidence is building in doing the actions and predicting what comes next in the song so the participation is almost 100%. 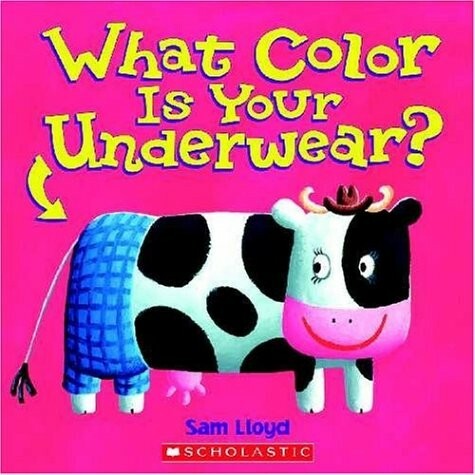 What Color is Your Underwear? This lift-the-flap book is one of my favorites! The funny ending gets everyone laughing. It is a great way to talk about colors too since all the animals are wearing different colors and styles. This was my backup book for the week and I was so glad we had time to read it! Flannel Board: Where, Oh, Where are My Underwear? This was a back-up activity for the week that also emphasized colors and making predictions. Sadly, we didn’t use it this time, but I’m glad I have it for next time! 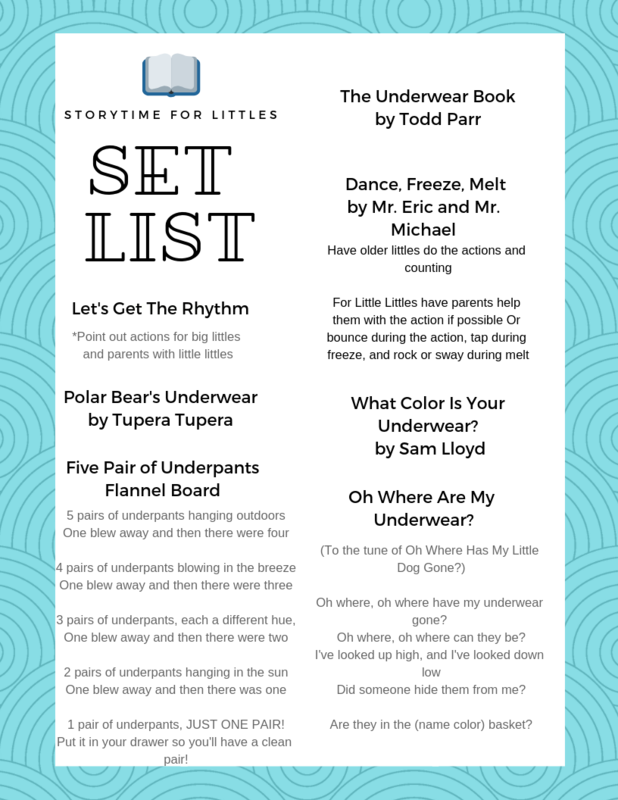 I partnered this storytime with a lot of our potty training materials. As the weather warms, the idea of potty training is more approachable for many families. We have extensive materials in our Parent-Teacher collection and I pulled many samples into storytime for families to check out. This collection contains items to help educate caregivers and provide resources to be shared with kiddos. There are many topics in this collection, including potty training. There are guides and books for parents to read on different strategies, board books for littles, picture books to share together, and even DVDs. Curious what else is in this collection? Ask us at the Children’s information desk! And don’t forget to check back next week to see what Miss Jessica did in storytime! At March’s Creativity Lab, we will decorate squishies! We’ll be using fabric paint and acrylic paint, so be sure to wear something that you don’t mind getting stained.